The Tannery Restaurant has been on my list of must visits for a long time, the only reason it took so long to fulfill is the long drive from Galway to get there, but a few weeks ago I spent a weekend in lovely Waterford and got my wish to eat in The Tannery. I “know” Paul and Maire Flynn from Twitter – they are always so friendly and welcoming online and in person were no different. The Tannery is housed in a beautiful building and the decor is really gorgeous. From the moment we entered the building we felt completely at home. Maire Flynn is a wonderful host and is thoroughly professional, friendly and welcoming all at the same time. We started with some exquisitely made cocktails – a Lychee Martini and a Cosmopolitan. I had the Cosmopolitan and I can almost taste it as I write this and would give anything for another one now! 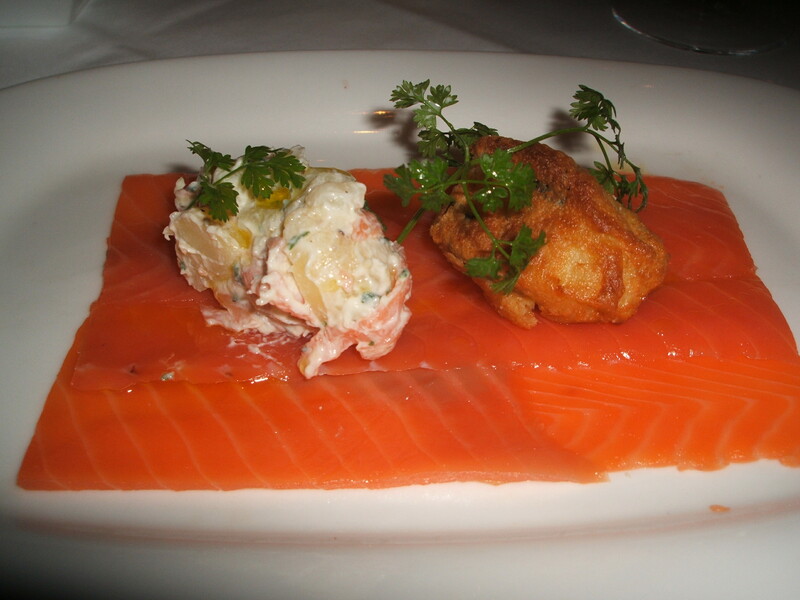 For starters, I chose the Artisan Smoked Salmon with potato and spring onion fritters and horse radish cream. 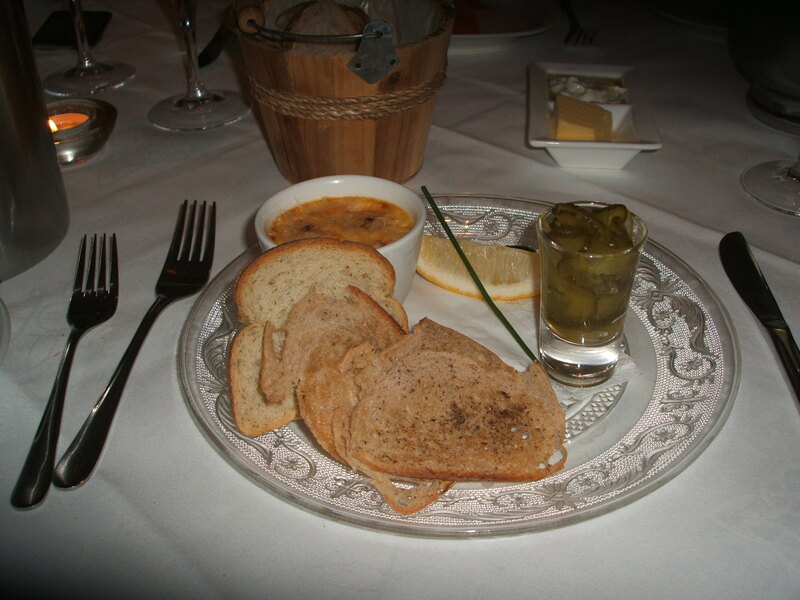 My dining companion chose the Crab Creme Brulee with pickled cucumber and dill toast. 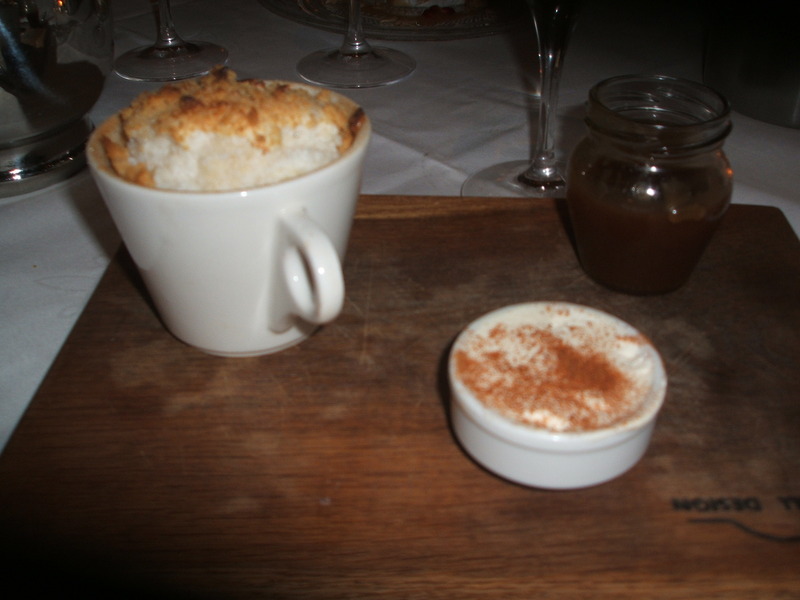 Both starters were beautifully presented and tasted just as good and we were delighted with them. For mains, I chose Seared Barbary Duck which was served with an onion cream, some crispy salsify and serrano ham. My friend chose the fish option, which was cod and which was served with bacon and onion croquettes and pearl onions. The main courses were accompanied by a side of mash. On the way to the restaurant, our taxi driver had sang the praises of the Tannery mash and boy was he right. Definitely the most exquisite mash I have ever tasted. Loved it! Despite being very full at this stage, there was no way we were skipping desserts! I ordered the Apple Crumble Souffle with maple butterscotch sauce and my friend the Lemon Curd Alaska with a citrus jelly sauce. Again both options were wonderful and we cleared our plates. I thoroughly enjoyed my visit to The Tannery and am hoping to be able to make a return visit soon. Paul Flynn is a wonder chef and the professionalism and friendliness of Maire Flynn front of house makes visiting The Tannery a truly wonderful night out.